You can connect up to seven satellite bulbs to the master bulb. You control the lights and sound singly or together. Installation is a cinch. Just screw the Pulse bulb into a light socket. There are no multicolor options. The bulbs connect only by Bluetooth. The bass from the small speakers in the bulbs is not great. You'll need the help of a subwoofer. 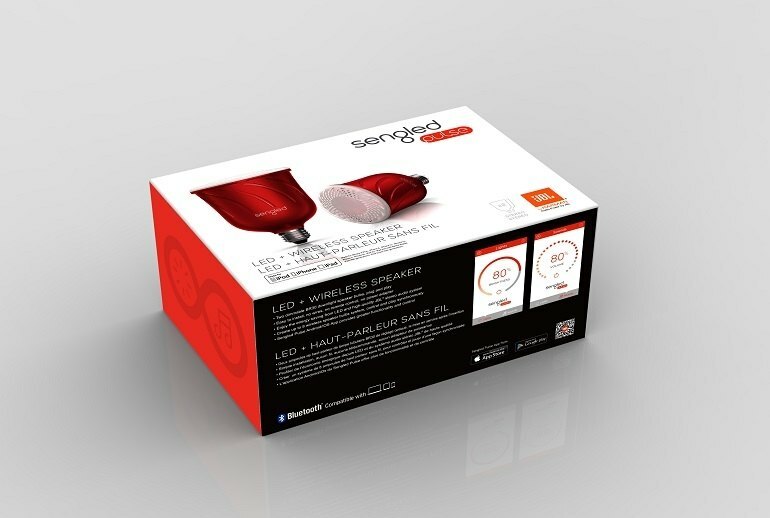 Sengled Pulse bulbs combine 13-watt LED lamps with JBL Bluetooth speakers. With your speaker system built into your light sockets, you use a smartphone app to control sound to the speakers individually or as a group. The same goes for the lights, which can be dimmed singly or together. The Pulse Starter Kit comes with two bulbs: a master and a satellite. The master bulb talks to your mobile device via an app and relays information to the satellite bulb. You can connect up to seven satellite bulbs to the master. 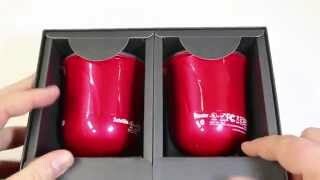 Pulse bulbs come in two color options: pewter and candy apple. 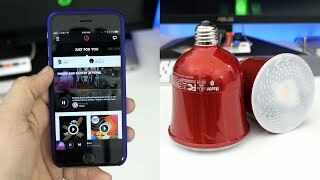 The Sengled Pulse sounds great but they are a smaller speaker so getting pounding bass is not going to happen even though they do pretty good. Installation of the Pulse lights is as simple as screwing a light bulb into a socket. Pulse LED Bluetooth light bulb and speaker is a practical, hybrid creation of two daily use technologies turned one convenient gadget. The Pulse is a well thought-out audio/light combo solution that works well. Zero clarity on the mids or vocals and the bass is muddy with no depth. Listening at full volume is a terrible experience, we had to turn the volume down to 80% for the hissing to disappear. Setting up the Pulse system is extremely simple. The connection is made to the master bulb via Bluetooth on your iOS (or Android) device. From there, it will automatically detect and sync up with the satellite bulb. Using the app, the user can do more than choose what songs to stream to the bulb's integrated speakers. The app can also control the brightness of the bulb and volume of the music played. If you are looking for a LED Speaker for your kitchen, room, office or any other place, PULSE by Sengled is the best choice. This is especially so where you have lights and you would enjoy some music playing in the background. Sengled’s Pulse Starter Kit includes two bulbs and transforms your light system into a speaker system. You can connect up to seven bulbs to the system and stream music throughout your house. 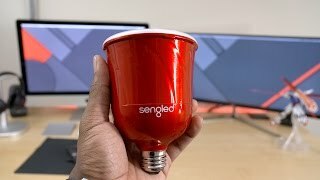 Sengled Smart LED + Wireless Speaker Review!